Bullying and harassment continue to be issues pervading the workplace. With the #MeToo movement, there has been increased attention on sexual harassment by both employers—who want to avoid their own Harvey Weinstein scandal—and the regulators who enforce the laws governing discrimination in the workplace. This training provides an in-depth review of the laws applicable to workplace bullying and harassment, including examples of what not to do based on recent court decision and best practices for handling complaints of workplace harassment. This training will also discuss the latest trends in the law related to workplace harassment, including updates on the current Nevada legislative session. Bagels and coffee will be provided for all attendees. Space is limited for this training. Register today! 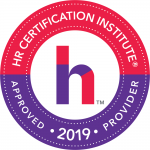 This program has been submitted for 1.5 HR (General) recertification credit hours toward aPHR™, PHR®, PHRca®, SPHR®, GPHR®, PHRi™ and SPHRi™ recertification through HRCI.